Stress on the job or at home can lead to raw nerves, short tempers, and spinning minds. Yet in challenging times, when fear, anger, and frustration run amok, a healthy dose of horse sense can help you stay centered, turning crisis into opportunity. 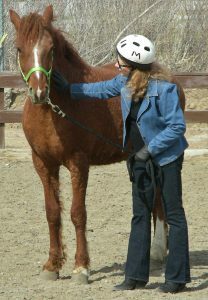 Self-efficacy: Learning to communicate and achieve harmony with a large animal promotes renewed feelings of efficacy. A motivated “I can do it!” replaces feelings of helplessness, empowering the person to take on challenges in other areas of recovery. Trust: Learning to trust an animal such as a horse also aids in the development or restoration of trust for those whose ability to trust has been violated by difficult life experiences such as physical or sexual abuse, abandonment, neglect, or marital infidelity. Anxiety reduction: Many studies of human-animal interaction indicate that contact with animals significantly reduces physiological anxiety levels. Some clients are initially afraid of horses–but horses’ genuineness and affection allay these fears, helping clients to embrace exposure therapy for their anxiety issues. 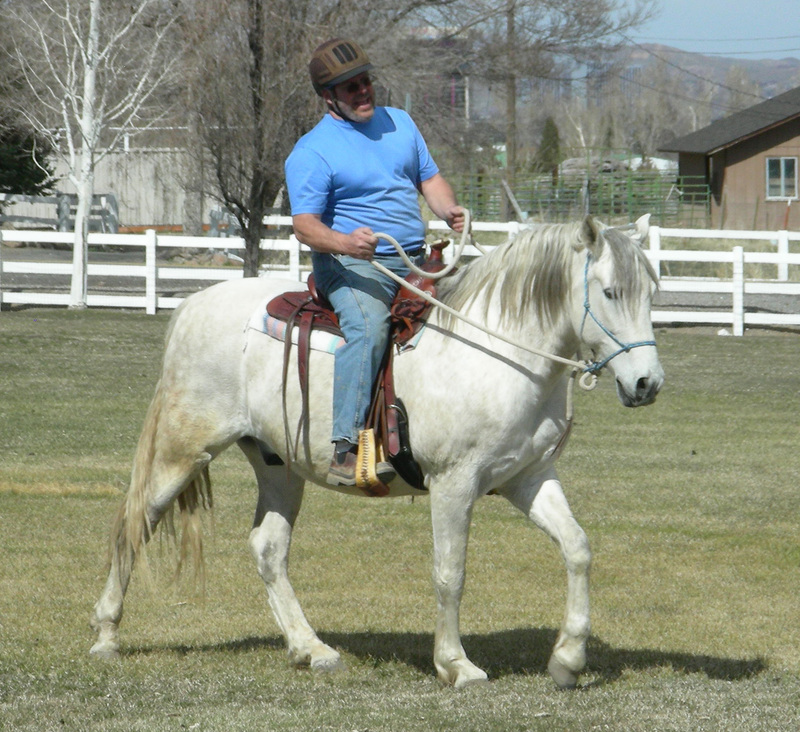 Self-acceptance: Many clients are initially concerned that they will do something embarrassing while learning about or riding the horses, particularly in a group setting. 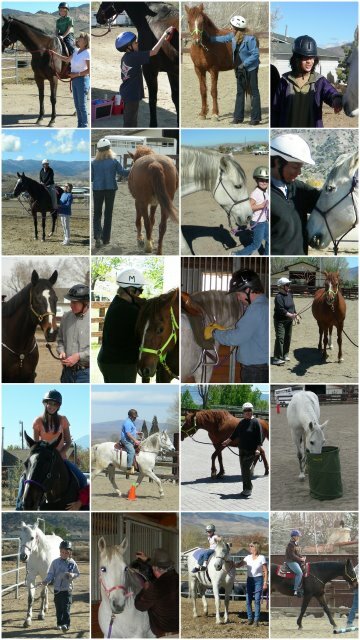 Yet clients quickly learn that the other participants are engaged in their own equine experiences, and they observe the comfort of the horses in their own skins. Fears of embarrassment in public are thereby often reduced, and self-acceptance increased. Boundary-setting: Many clients have experienced prior controlling or abusive relationships. Healing takes place as clients discover that riding occurs within the context of a respectful relationship between a rider and a horse–and that, although physically powerful, each horse typically operates within the boundaries of this mutually respectful relationship.